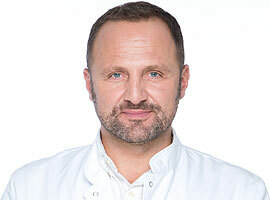 Dr Nick Milojevic is the owner and clinical director of Polyclinic Milojevic, which is one of Croatia’s leading aesthetic medicine clinics, specialising in an array of cutting edge aesthetic procedures and treatments aimed to rejuvenate the face and body. Polyclinic Milojevic was the first clinic in Croatia and the wider region to specialise purely in aesthetic medicine. He is also the owner of Milo Clinic in Harley street in London, where he is regarded as one of the leading aesthetic doctors. His passion, ambition and artistic feeling for aesthetic medicine are unrivaled. He has a unique and modern approach to this fast growing field of medicine, which he believes to be the future (and increasingly the present) of aesthetic surgery. Dr Nick Milojevic was exposed to the world of aesthetic medicine from a very early age. His father, Professor Bosko Milojevic was one of the European pioneers of modern plastic surgery, and opened the first private aesthetic surgery clinic in 1967 in the capital of Croatia, Zagreb, which was the first such clinic in the region. Dr Nick Milojevic studied for his medical degree at The Royal Free Hospital School of Medicine in London from 1990-1995, gaining an MBBS degree. London was where Dr Milojevic started his career in Aesthetic Medicine and indeed was among the first doctors in the UK to start applying Botox and dermal fillers and to start developing advanced techniques such as the non-surgical eyebag removal and nose shaping using dermal fillers. He was one of the earliest members of the British College of Aesthetic Medicine (BCAM). He performs as many as 30-40 Botox and dermal filler procedures per day, and during his career has performed over 45,000 cases of dermal filler, Botox and other aesthetic treatments. His signature treatments for which patients travel to his clinics from throughout the world, are his eye bag , nose and lips treatments using his special techniques. He has become recognised as a leading UK expert in his field, and is asked to make regular TV appearances and to give expert interviews in the UK press. The Daily Express named him to be the top expert for botox in the UK. He is also regularly on the Tatler list of best Botox and dermal filler doctors in the UK. In Croatia, Dr Milojevic is regarded as the leading aesthetic medicine doctor, a key opinion leader and an expert trainer. The Croatian media ask him for his expert advice and interviews on a weekly basis, and the patients now regard him as the “go to” doctor for treatments such as Botox, hyaluronic dermal fillers, PRGF blood plasma and laser treatments.